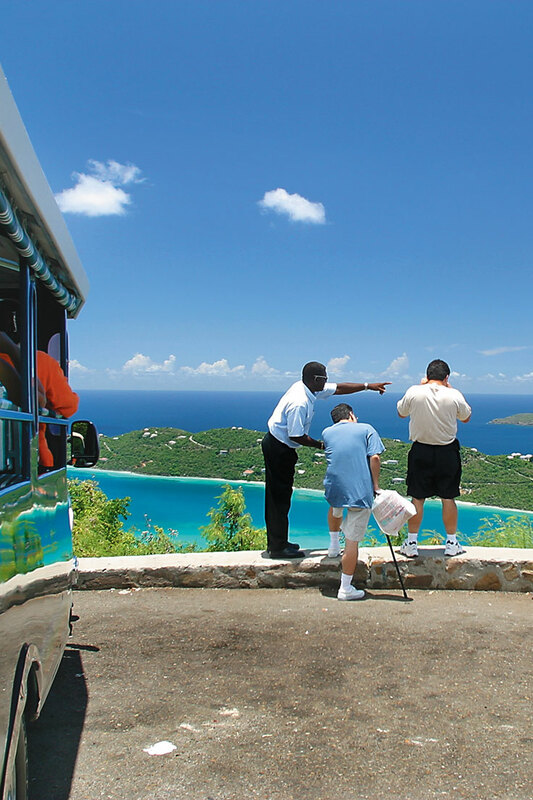 Learn more about the history and culture of St. Thomas with an exclusive sightseeing tour. Our knowledgeable tour guides will take you on a journey around the island for a complete experience of all the sights, sounds, history, and unique culture of St. Thomas. Travel comfortably in a van, mini-van, SUV, or an open-air Safari bus for larger groups. Enjoy great picture-taking opportunities and hear about island history, local customs, the U.S. influence, and how island natives live. Enjoy beautiful and breathtaking views of the lush island foliage, clear Caribbean waters, and white sand beaches. Stop along the tour for the perfect photo opportunities. Head to Mountain Top, at 1500 feet above sea level, for panoramic views of the island and the best view of Magen’s Bay, one of the top 10 beaches in the world! Note: If you are a cruise passenger, please book the tour based on the time of your ship's departure. If your ship leaves at 4:00pm or earlier - book the 10:30 AM tour. If your ship leaves at 5:00pm or later - book the 11:30 AM tour. 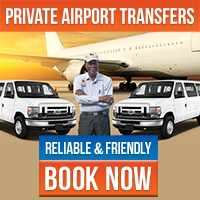 All our taxis are fully certified and authorized in St. Thomas, USVI. All open-air cabs are called “Safaris” and can hold up to 25 people. We have been operating in St. Thomas for 15 years and are well known for exciting and energetic tours. Our cruise ship accommodation features a departure at 10:30 AM and a return time of 1:00 PM to meet cruise ship schedules.